It's one of those dreary, soggy fall Vancouver afternoons as Sarah Craig, owner of self-run apothecary brand, Penny Frances, welcomes me warmly into her West Side home. Within moments she offers to make tea in her bright, plant-filled kitchen and begins telling stories of her character house: how she and her neighbours above and below once threw wild New Years Eve parties, and how she had would have never guessed that her husband's film job relocating them to Vancouver from Scotland would eventually turn into a West Coast life. 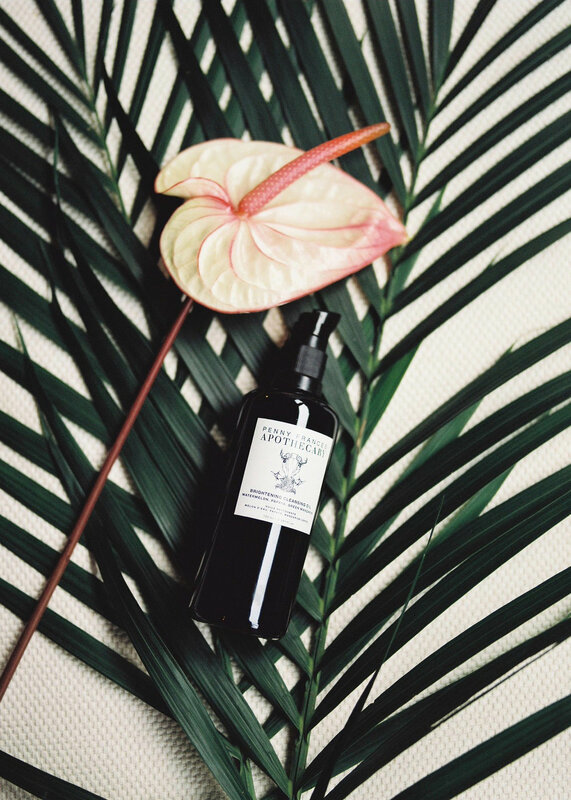 Now, nearly 10 years later, she divides her time between raising her two young sons, Luca and Otto and working on her small-batch line of botanical serums, mists, creams and masks. Penny Frances was launched around 2009 (the exact time she can't quite remember) and as she later explains, almost by accident. Craig has enjoyed many lives and adventures prior to this one: she originally trained as and chef and has worked in places from Scottish castles to alternative schools for children. She even worked a (brief) stint behind a cosmetics counter. She explains why it's important to escape our ordinary lives, even if it involves a five-minute shower with Dr. Bronner's eucalyptus soap - and why the women in her family have been a huge inspiration to her. Tell me the story of how Penny Frances Apothecary came to be. Did you always know you wanted to do this? Can you think back to the moment you decided to do this full-time? What was it like working as a chef? What other jobs have you done that have led to before this? How did you go transition into making beauty products for a living? How do you know which oils and ingredients to put into your products? What is your process? 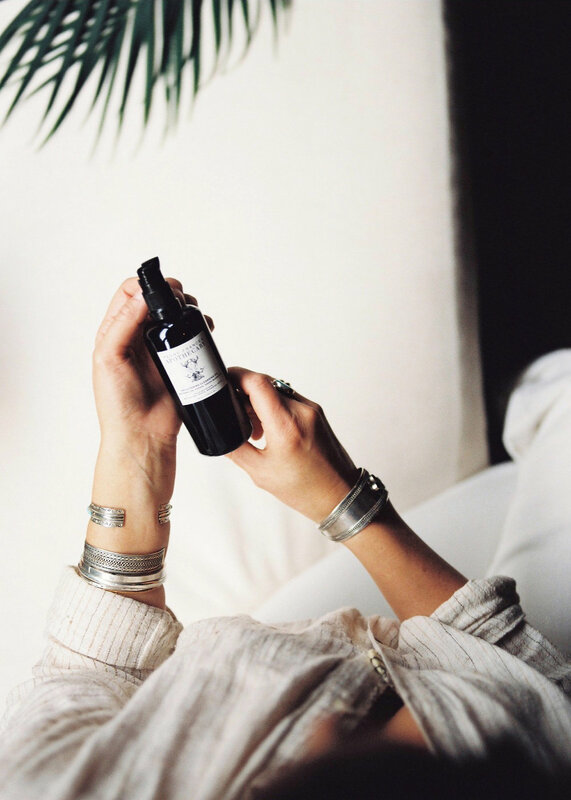 What do you think sets Penny Frances products apart from other apothecary brands? You mentioned earlier to me that you don’t want the brand to grow any bigger? Why is that? Your Instagram feed seems to be a huge source of inspiration for you, filled with tropical beaches, art and photographs of beautiful (real) women. Why is it important to you to reflect real women in your feed? Do you find that it’s easy for you to switch off from work when you’re with your sons? How do you find balance? I’m sure it changes all the time, but can you walk us through a typical day for you? Do you have a ritual that keeps you grounded, allows you to escape? What is the most challenging part of being an entrepreneur? What would you say are some of the most rewarding aspects of running your own business? Do you have any mentors, people who you look to for guidance or advice? To learn more about Penny Frances' luscious skincare products, visit their website. To escape with Sarah in her Instagram feed, be sure to follow the Penny Frances account.